I'm big on believing that if you have a need, you should look for ways to fill someone elses need. Like if you focus on helping or serving or loving others, then your needs suddenly become much less important. And in the midst of serving and loving and helping? your needs get met too. I think it's just how God works. I think He uses us to fill the need of others and He uses others to fill our needs at the same time. I stood in my garage tonight counting up how many frames we have, and how many lovies we've collected for Project Hope. All of the bags and boxes and special notes from people all over. It was such a blessing to me to literally see the impact of what Project Hope has become. And it makes me excited for what it could still be. 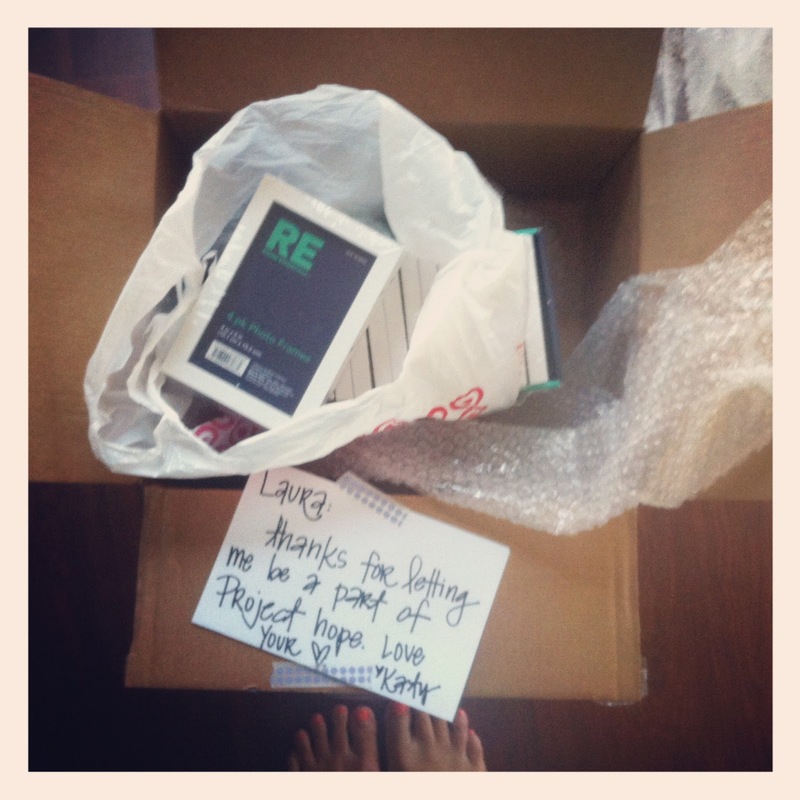 In a funny way I almost feel selfish for how much every single card or package that comes in, ministers to me. I got a package this week from a sweet girl named Chelsea. She and a couple of other moms got together to make "Seeds of Hope" for the memory boxes. Out of memory for their own babies. 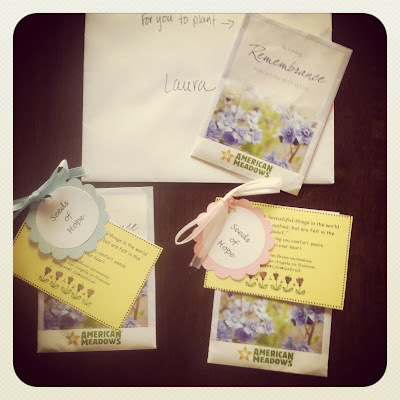 Forget me not seeds, with a little note attached. I loved it so much. 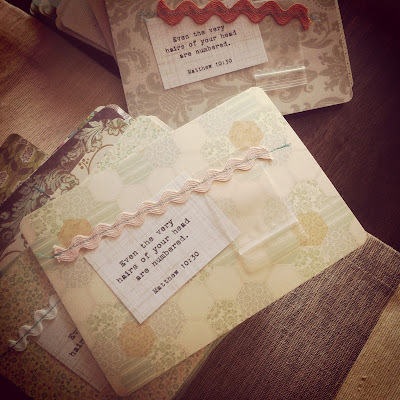 And then I saw a note for me, with some of the seeds for me to plant too, for our girls. And I cried. Just because....Knowing my girls...all of our babies in heaven, they will never ever be forgotten. But beyond that, their names, their lives, will keep living here on earth, planting seeds of hope into the hearts of so many others. 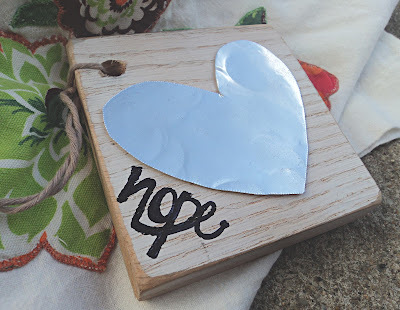 My prayer is not that Project Hope would only minister to the moms and families who receive the boxes, but to the many people who's heart and hands have come together to make them special. We all have something to hope for. We all need an anchor to hold on to. 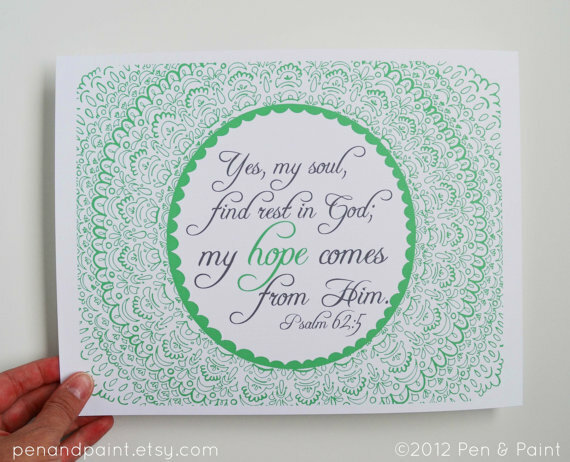 And so, hope? It's for everyone. With the deadline for donations coming close I wanted to give a quick update for what we have collected and what we still need. We've also raised $525 in donations to go toward the purchase of the 100 kraft boxes, and the craft supplies to make each one decorated special at our Craft Event! 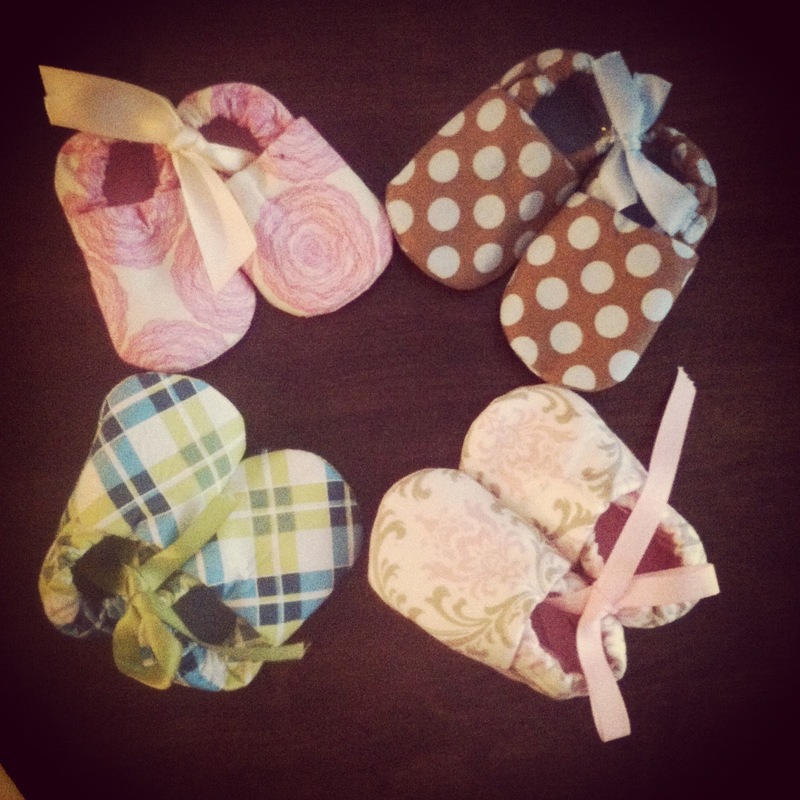 We are still mostly in need of lovie bears and booties. We need 44 more lovie bears and 70 pairs of either crochet booties, or little crib shoes. 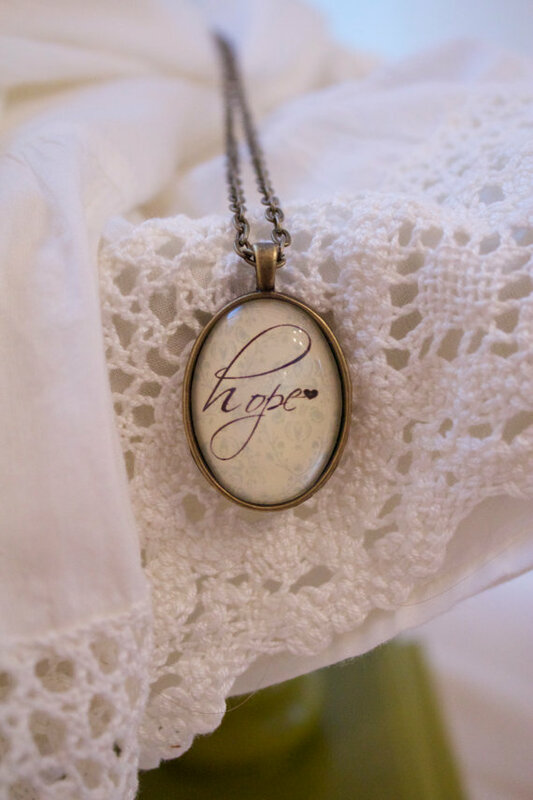 Also, we need 20 more "Hope" necklaces for the moms. 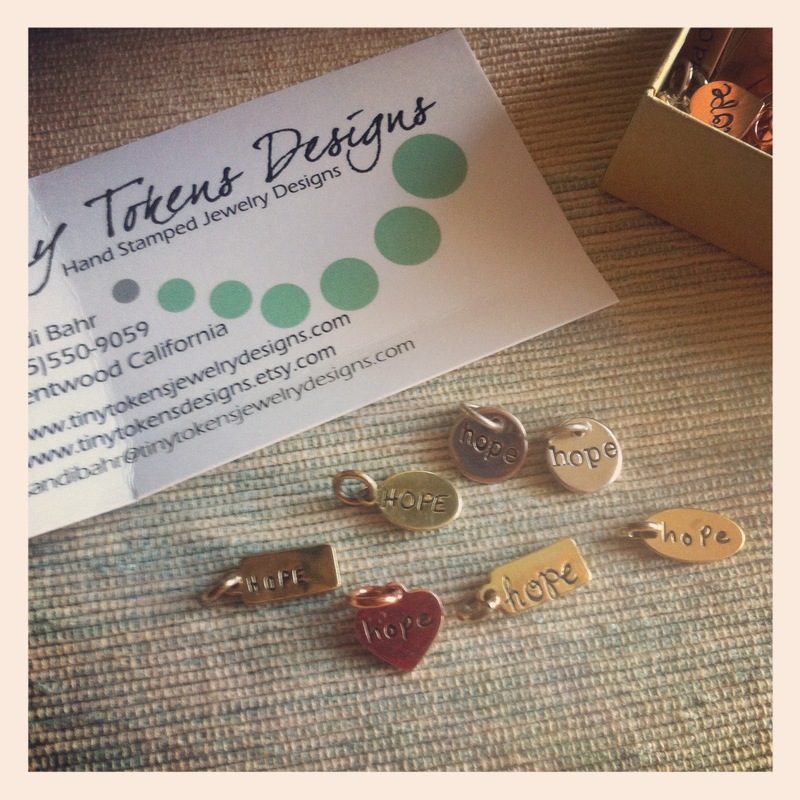 Simply a hand stamped charm or a pendant with the word Hope. If you would like to donate any of these items, there is still time and always a need! If we go beyond 100 of any item, it will be used for our next go around, because this is just the beginning of Project Hope! Just contact me if you would like to be involved still. We have a donation drive on Saturday here in San Antonio. You can check out the events page for the details if you are local and would like to stop by! Also I wanted to let you know about a couple of shops who are donating a certain amount of the sales of certain items in there shop. If you'd like to do a little shopping and help Project Hope at the same time, here's how! And lastly, NEXT TUESDAY I will be hosting a BIG raffle to raise funds for Project Hope. So many amazing shops have donated to make this raffle a huge score for one lucky blessed person! All you have to do is enter! 5$ will get you one entry into the raffle. You can enter as many times as you'd like and leave one comment per entry. One person will win ALL of the items you will see and trust me you will want to win it all! You do not have to have a blog to enter! If you have a shop and would like to donate to the raffle, there is still time, just contact me! Hi Danica, Thank you so much! I am humbled and honored, daily! I love that my sister (Chelsea) and my friend (Maria) got to take part in this. I know it was a special way to help them honor their babies in heaven. It really was so special. I am so happy to have them apart of Project Hope. They are what this is all about, bringing hope and healing! Hi there. I am just learning of your meaningful project and would be more than happy to help. I can sew booties or tiny diapers or whatever is most needed still. I am also adding your badge to my "like minded" page on my blog and will share about your project with my readers too. This is such a special thing you are doing and I would be privileged to be a part if there is still time. Look forward to hearing from you. (email linked to profile) Many Blessings. Visit Laura Caddell's profile on Pinterest.